As Microsoft looks to slim down with layoffs and restructuring, Nokia is spinning MixRadio into a separate steaming music company. While the app will still come preloaded on Windows Phones, it will also come to Android and iOS, according to The Guardian. There's no word on when the spin-off will be finalized, or when the apps will become available on other platforms. It's also unclear whether MixRadio will look to include ads in its app now that it's no longer an exclusive perk for Nokia phone owners. Currently, the app is ad-free, but users can get higher audio quality, offline listening and unlimited song skipping for $4 per month. 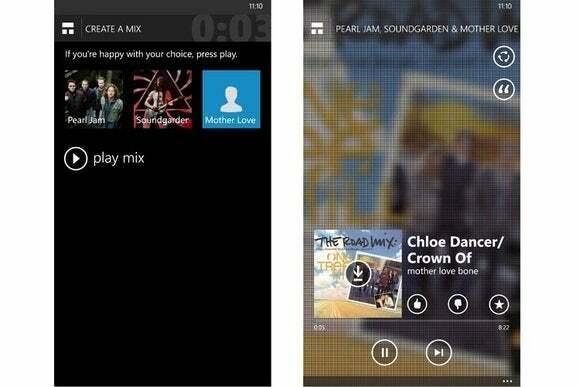 MixRadio is an Internet radio service that competes with Pandora, Slacker Radio, and Songza, among others. It lets users create "mixes" with up to three artists at a time, but instead of being fully automated, the playlists are powered by human curation. On an interesting side note, MixRadio head Jykri Rosenberg told The Guardian that it's spinning off because Microsoft is looking more to partner with other media services, rather than running its own. That'd make sense in light of Microsoft's new focus on productivity, and it could mean that floundering services like Xbox Music and Xbox Video could be next on the chopping block.